This Roadmap contains teaching videos and activities that require students to solve problems involving perimeters of polygons, including finding the perimeter given the side lengths, finding an unknown side length. Students will create a video to show that they know how to solve problems involving perimeter after completing the activities with success. Day 3 - Circuits: Hands-On! The Discovering Matter lesson allows for students to conduct one of their first experiments in 3rd grade. Through the Roadmap they are introduced to the three common states of matter, the terms constant and variable, as well as being introduced to creating a driving question and creating an experiment (with help). The activities can be completed as a group or as individuals. The choice is yours. This is an example of a guest teacher flow chart. This was created to help the guest teacher flow through the day with ease. When using my computer that day the websites with accounts automatically logged in for her. In this Roadmap, students will learn how a bill is passed in the U.S. Congress. Learners will start by proposing a law that should be passed. And learners will interview 2 adults who will suggest laws that should be passed. 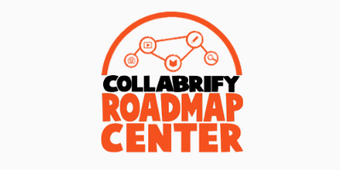 This Roadmap is an Informational Text Writing Unit. The unit begins with explaining what non fiction text is, the features of it, and how to write each section within it. Once the student has their first draft they begin with revision. They must prove the existence of certain features within their writing. The writing partner will also have the opportunity to evaluate their work. The partners for organization and ideas, sentence level revision, and editing for capitalization and spelling. In this Roadmap, students will learn about the life-cycle of a butterfly. In this Roadmap, students will learn about two types of metamorphosis - complete and incomplete. This roadmap addresses 3.OA.6. Multiplication and Division Relationships. In this Roadmap, students will learn about the scientific method.